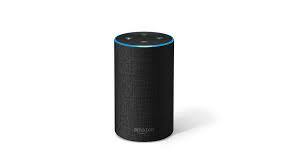 UU A Way Of Life: Ask Alexa - How can I tell when I'm on the right track? Ask Alexa - How can I tell when I'm on the right track? Alexa: How can I tell if things are getting better in my life? When things are on the wrong track they create distress, and when they are on the right track they create peace. Alexa: Did you hear about the woman who had twin sons, Ahmal and Juan? Yes and she was closer to Juan and saw him more often and she would tell people who asked how her boys were, "When I've seen Juan, I've seen Ahmal."